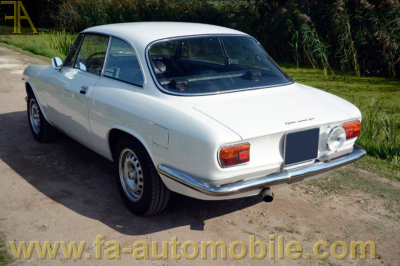 Magnificent Giulia Sprint GT Scalino tipo 105 finished in the timeless Bianco Spino with mostly untouched blue / grey interior. 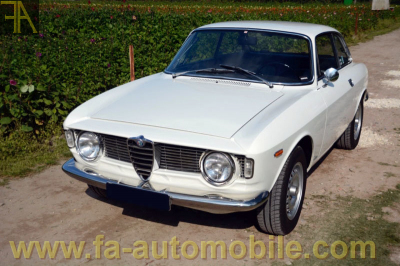 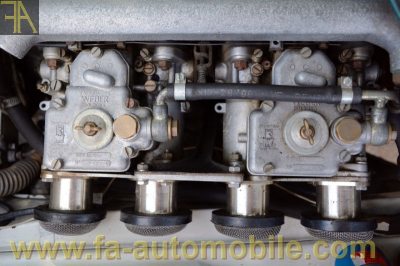 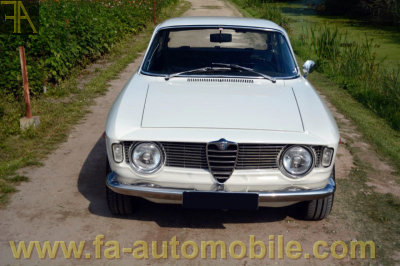 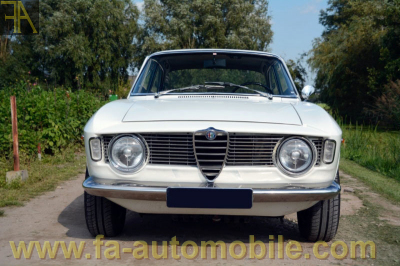 This particular model was produced and delivered new in 1964, which to the eyes of many Alfa collectors is the most sought after and collectible of its kind. 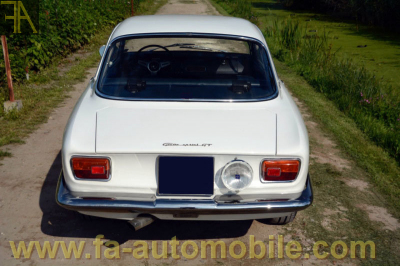 In fact, the famous GTA was only produced a year later, making the early 1964 1600 GT Sprint its grand sister and the origin of the legend. 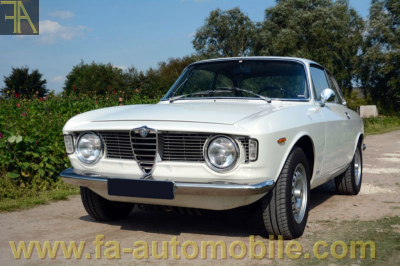 This car is an Italian delivery which was sold new in Genova. 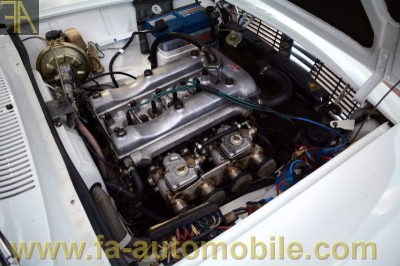 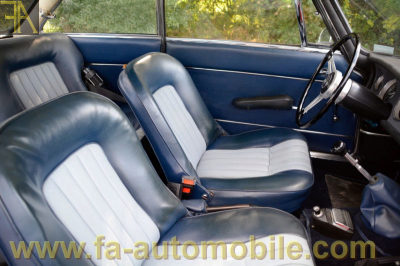 The body of the car has been perfectly restored, and features excellent panel fittings. 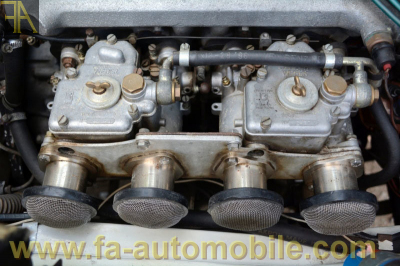 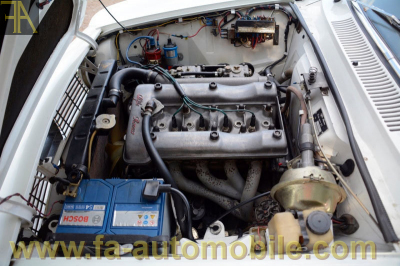 The full mechanics have been rebuilt in the late 90s and the engine is still very well tuned. 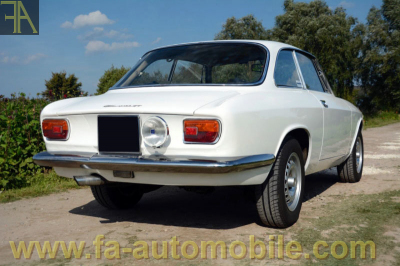 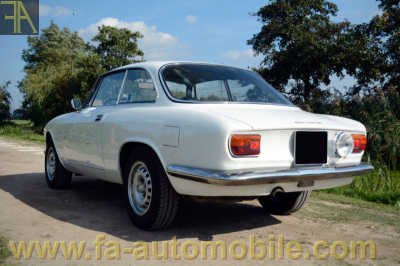 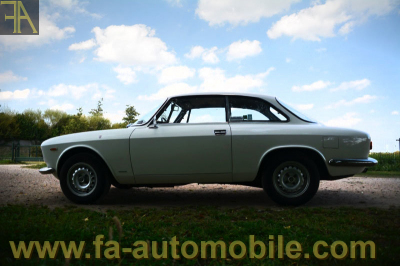 Only 21,902 Giulia Sprint GT were produced between 1963 and 1965 out of which only a fraction remain absolutely intact and original such as this car. 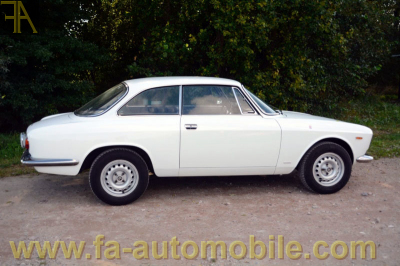 If you a looking for a very correct and superbly presented example of the Giulia Sprint GT 1600, this is it. 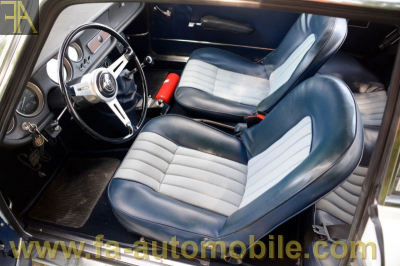 The car comes with alloy GTA style wheels and its FIVA passport as well as its engine air filter. 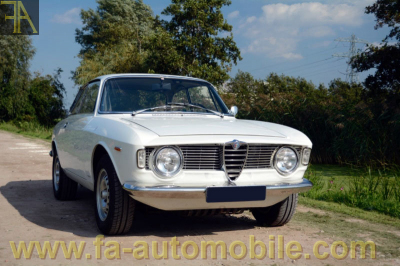 European registered, available immediately.